The best way to get to know a community is by scheduling a tour. See the facilities, meet the staff and residents, and get a feel first hand what it's like to live at Allam Senior Care Home Care. 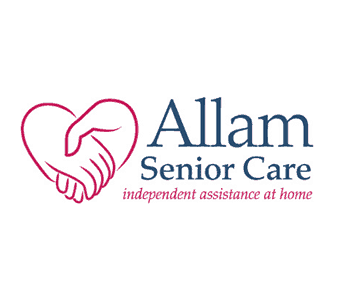 Allam Senior Care of Kentucky provides personalized senior home health care for the elder care community and those in need who wish to remain independent in their own homes for as long as possible. Our Louisville area caregivers and Certified Nursing Assistants provide assistance with such activities as errands, transportation to doctors, medication reminders, housekeeping, laundry, grooming, dressing and bath safety monitoring. All services and schedules are tailored to the needs of the client, caregivers and CNAs are available for daily, weekly, overnight, 24-hour, or live-in assignments. We not only support patients, but we also support families and friends, on respite care for loved ones and short-term disability. We educate families, giving them the tools they need to provide the proper level of care for their loved ones. We have wonderful Louisville caregivers and CNAs who truly have a passion for providing care - and they are our employees, thoroughly screened, bonded and insured. We are licensed by the State of Kentucky for in-home health aide services, and are official providers for worker's comp and the Veteran's Administration. We can alleviate your stress and ensure that your loved one receives an exceptional level of care.